California has a reputation as a place where anyone can prosper and anything can grow. Yet while there are plenty of ambitious winemakers, there are only a few grapes that can produce world-class wines. The following six have what it takes. F&W executive wine editor Lettie Teague, senior editor Ray Isle and frequent contributor Richard Nalley tried hundreds of wines made from these grapes to find the 75 best. The best and most expensive Cabernet Sauvignon in America, by and large, comes from Napa Valley. Other places grow great Cabernet—sites in Sonoma's Alexander Valley, for instance—but no other region produces Cabs of such consistency and sheer profundity. Cult bottlings like Screaming Eagle or Harlan Estate, along with a few of the amazing wines below and on the following page, are really only available at auctions and top restaurants. But the value wines we recommend are easy to find, and delicious. "I've got 2,000 people on the waiting list. And to think that when my dad and I started out, we thought, well, if it doesn't sell, we'll just drink it ourselves." 2012 Corison Kronos Vineyard Napa Valley ($170) Veteran winemaker Cathy Corison creates this vividly aromatic, cassis-scented Cabernet from low-yielding 30-year-old vines surrounding her winery, off Napa Valley's famed Highway 29 between Rutherford and St. Helena. 2012 Beringer Private Reserve Napa Valley ($131) Beringer's top bottling, a blend of fruit from six different Napa vineyards, has been a benchmark for California Cabernet since former chief winemakers Ed Sbragia and Myron Nightingale made its inaugural vintage, back in 1977. The black currant packed '12 effortlessly carries on that tradition, and should age gracefully in a cellar for many years to come. 2012 Dalla Valle Napa Valley ($226) Seamless and profoundly elegant, with soft tannins and a touch of Cabernet Franc that adds a faint herbal note to the nose, this remarkable Napa Cabernet (crafted by winemaker Andy Erickson) comes from Dalle Valle's estate vineyards tucked away on the east side of Oakville. 2012 Quintessa Napa Valley ($169) Biodynamic viticulture and meticulous attention in the cellar from Agustin and Valeria Huneeus have helped make Quintessa, a Bordeaux-style blend of Cabernet, Merlot and Cabernet Franc, one of California's top reds. The polished '12, saturated with smoky black plum and black currant flavors, may be the most impressive Quintessa produced to date. 2013 Diamond Creek Gravelly Meadow Napa Valley ($220) Visionary owner Al Brounstein started bottling Napa Cabernets from specific terroirs on his Diamond Mountain property as early as 1972. Gravelly Meadow, a cool, stony five-acre plot, produced this refined, ageworthy bottling with a compelling scent of anise and red cherries. 2013 Cellar No. 8 ($9) Winemaker Paul Rydquist imbues this modestly priced North Coast Cabernet, made at Sonoma's historic Asti Winery, with loads of sweet black currant and vanilla oak flavors. 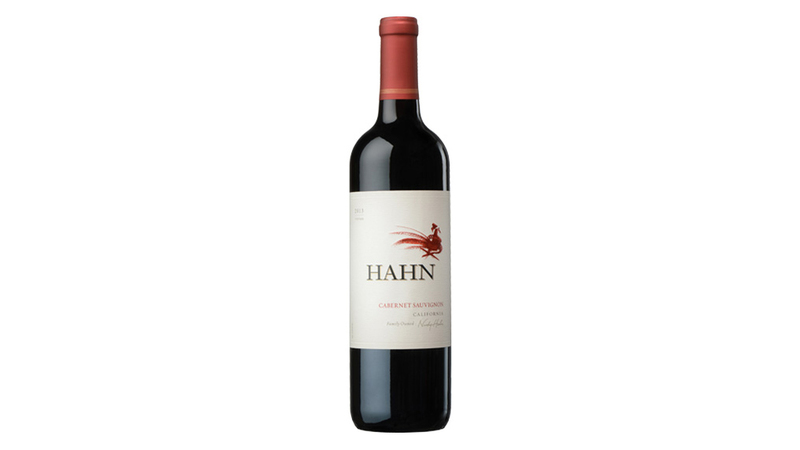 2014 Hahn Estates ($15) Winemaker Greg Freeman considers working at Hahn Estate to be his dream job. His Cabernet is straightforward and juicy, with spicy hints of French oak backing the sweet black fruit. 2013 Hayman & Hill Reserve Selection Paso Robles ($14) Dennis Hill, winemaker for Blackstone, and his winemaking partner David Hayman source great fruit from throughout California's premier wine regions for this new project. Their '13 Napa Cabernet is full of rich blackberry and spice notes. 2013 Geyser Peak Alexander Valley ($12) With 220 acres of vineyards in Sonoma's Alexander Valley, Geyser Peak winemaker Ondine Chattan can be ruthlessly selective about which grapes go into her firm, cassis-rich Cabernet. Aging in American oak barrels gives it additional notes of cedar and chocolate. 2013 Benziger Family Winery Sonoma County ($18) Dense black cherry flavor and green peppercorn notes define this substantial red, made from fruit sourced from low-yielding benchland and mountain Sonoma County vineyards. 2013 Switchback Ridge Peterson Family Vineyard Napa Valley ($91) Switchback Ridge—sourced from the 100-acre Peterson Ranch near Calistoga—was on collectors' must-have lists even when the first vintage was still in barrel, in 1999. The luscious 2013, its deep black cherry flavor lifted by black pepper, shows why. 2012 Marston Family Vineyard Spring Mountain District ($150) Only the best fruit from selected blocks of Michael Marston's 40-acre Spring Mountain vineyard is used for this powerful, multilayered red, its blockbuster fruit framed by firm but velvety tannins. 2012 Seavey Napa Valley ($130) The Seavey Vineyard, first planted in 1871, was one of Napa Valley's original hillside vineyards. Today, winemaking star Jim Duane and consulting winemaker Philippe Melka craft their formidable Cabernet fruit into voluptuous wines like this one—black and dense with tarry plum and licorice notes. 2013 Hourglass Estate Napa Valley ($163) Jeff Smith's tiny Hourglass vineyard occupies some of Napa Valley's best real estate, with neighbors that include cult names like Colgin, Grace Family and Vineyard 29. Top winemaking consultant Tony Biagi made this plush but muscular Cabernet. 2012 Bond St. Eden Napa Valley ($477) Bond, a project from Harlan Estate proprietor Bill Harlan, is a collection of five single-vineyard Cabernets. The succulent, spicy St. Eden, from vines grown on a small knoll just north of the Oakville Crossroad, has dazzling aromatic notes of red currants, black pepper and smoky oak. The best Cabernet list in California may very well be at an Italian restaurant. Valentino, in Santa Monica, has amazing depth in the expected Barolos, Barbarescos and Brunellos. And with 15 full pages of California Cabernets—including lengthy verticals of Colgin, Harlan Estate, Grace Family and other cult bottlings—it puts any other California restaurant wine list (Italian or not) to shame. DETAILS Valentino Santa Monica, 3115 Pico Blvd. ; 310-829-4313; pieroselvaggio.com or welovewine.com (an address that says it all). Pinot Noir provokes some oddly strong reactions—from the frustration of thwarted vineyard managers to the passion of the true Pinot lover. Pinot is hard to grow, but when grown well, on a superb site, it can be more evocative of the terroir it comes from than any other red grape. The best Pinot Noir vineyards—Keefer Ranch in Green Valley, Hirsch on the Sonoma Coast, Rochioli in the Russian River Valley, Bien Nacido down in Santa Maria, to name a few—are scattered up and down California, but they share cool coastal weather, often marked by morning streamers of fog that themselves seem somehow to evoke the evanescent character of the best Pinot Noir bottlings. "I'll finally have a grip on Pinot Noir about the time I retire." 2014 Lynmar Estate Quail Hill Vineyard Russina River Valley ($65) Winemaker Shane Finley has returned this veteran producer to the Pinot Noir forefront, thanks to wines like this silky, boysenberry-scented Pinot from the winery's 130-acre estate vineyard in Sonoma County's Russian River Valley. 2013 Calera Jensen Vineyard Mt. Harlan ($90) Inland from Monterey, alone on his mountaintop vineyard in the Gabilan Mountain range, winemaker Mike Waller goes on quietly producing some of the state's most refined, expressive Pinot Noirs. This elegant bottling, with its red cherry fruit and aromatic touch of fennel, has the structure to age gracefully for quite a few years. 2013 Williams Selyem Westside Road Neighbors Russian River Valley ($120) This voluptuous wine's name refers to the vineyards along Sonoma's Westside Road that winemaker Jeff Mangahas sources for his blend: Allen, Bacigalupi, Bucher, and Rochioli Riverblock. Aromatically reminiscent of raspberry liqueur, it's hugely ripe and thoroughly delicious. 2013 J. Rochioli West Block Russian River Valley ($144) Rochioli's single-vineyard bottlings (East, West and River blocks; Three Corners; and Little Hill) are among the most sought-after—and hard-to-find—Pinot Noirs produced in California. The West Block, from a four-acre section planted in 1969, bursts with saturated raspberry and cherry flavors that seem to intensify with each sip. 2013 Etude Heirloom Grace Benoist Ranch Carneros ($95) A small parcel of land in California's Napa Carneros region planted to several different heirloom clones of Pinot Noir—descendants of vines brought over decades ago from some of Burgundy's top estates—provides the fruit for this complex Pinot. Made by Pinot Noir specialist Jon Priest, its flavor suggests crushed wild berries and loamy earth. 2013 Castle Rock Mendocino County ($12) The 2003 vintage of this wine won an F&W American Wine Award, and the '13 may be even better: Floral and graceful to start, it wraps up with sappy black raspberry flavor. 2014 Sebastiani Sonoma Coast ($16) Smoky oak notes bolster the vibrant wild berry flavors in this racy red, a blend of fruit sourced primarily from Sebastiani's own vineyards in Sonoma-Carneros. 2013 Handley Mendocino County ($18) Milla Handley blends grapes from Mendocino's Anderson and Potter valleys for this briskly berry-fruited, punchy cool-climate Pinot. 2013 Rodney Strong Estate Russian River Valley ($20) Strong, a Russian River Valley pioneer, planted his River East Vineyard in 1968. Winemaker Rick Sayre uses that site and other estate vineyards to create this smooth, floral Pinot. 2014 Hook & Ladder Russian River Valley ($20) Founder Cecil De Loach named this new project for his first career, as a San Francisco fireman. Juicy, ripe and supple, it's also unusually affordable for Russian River Valley Pinot Noir. 2013 Sea Smoke Botella Sta Rita Hills ($100) Sea Smoke, named after the fog that blows from the ocean through the Santa Rita Hills in Santa Barbara County, continues to garner acclaim for its complex, estate-grown Pinot Noirs. Labor-intensive and traditional methods are used by winemaker Don Schroeder to craft this seductive '13 wine, which overflows with tangy blackberry and raspberry flavors. 2014 Stephen Ross Bien Nacido Vineyard Santa Maria Valley ($42) Bien Nacido, in the Santa Maria Valley (in Santa Barbara County), is one of California's greatest Pinot Noir vineyards. With his impressively supple '14 bottling, winemaker Stephen Ross Dooley captures its essence: white pepper and fresh raspberries, lasting and delicious. 2014 Hirsch Vineyards San Andreas Fault Sonoma Coast ($60) David Hirsch has long sold fruit from his eponymous, isolated Sonoma Coast vineyard to cult Pinot producers like Williams Selyem, Flowers and Littorai. With the 2002 vintage, he started making wine under his own name; his spicy, vivid '03, dense with wild cherry flavor, makes it clear that this was a wise decision. 2013 Pisoni Vineyards Estate Santa Lucia Highlands ($85) Winemaker Jeff Pisoni's love of elegance and restraint might seem at odds with the Santa Lucia Highlands' famous Pisoni Vineyard, which typically produces powerful, intense, fruity, even flamboyant Pinot Noirs. But in the brilliant '13, the result is a gorgeously balanced wine, with the scent of flowers and the texture of satin. There's no more beautiful road on which to take a Pinot Noir tasting trip than California's Highway 128 as it winds through the Anderson Valley wine region of Mendocino County. Forests of centuries-old redwoods, rolling hills and, of course, acres and acres of vineyards define this 40-mile route, which starts at Yorkville and ends at the coastal town of Albion. Pinot-centric producers to visit include Navarro Vineyards, Goldeneye Winery, Greenwood Ridge Vineyards, Handley Cellars and Lazy Creek Vineyards. Syrah is a latecomer to the list of great grape varieties in California. Despite interest in the 1970s from winemakers like Joseph Phelps, who released one of the first varietal California Syrah bottlings in 1977, it wasn't until the late '80s that this powerful Rhône grape took off. Today there are more than 17,000 acres of Syrah in California, producing wines that balance intense blackberry and raspberry flavors against savory pepper and spice notes. These vineyards are scattered throughout the state, but the locus of Syrah production in terms of quality, as the wines below reveal, is the Central Coast, particularly the appellations around Santa Barbara, such as the Santa Maria and Santa Ynez valleys. "Syrah's rise here in the Central Coast happened in almost 11 years—that's nothing in wine time." 2012 Cline Cool Climate Sonoma Coast ($17) Black raspberry notes mark this taut red from cool Sonoma Coast vineyards. 2014 Blackstone Winemaker's Select ($10) Dry Creek fruit gives this firm, juicy Syrah loads of dark-cherry flavor. 2014 Melville Estate ($20) Ripe blackberry saturates this red from Central Coast up-and-comer Melville. 2013 Andrew Murray Roasted Slope Vineyard Santa Ynez Valley ($35) Bright boysenberry fruit, ethereal aromas and leathery spice define winemaker Murray's homage to the great Syrahs of France's Côte-Rôtie region. 2013 Saxum Vineyards Broken Stones Paso Robles ($148) Justin Smith has become a California Syrah star. This supercharged bottling is full of sweet blackberry fruit and green peppercorn notes. 2013 Paul Lato Cinematique Larner Vineyard Santa Ynez Valley ($91) Reminiscent of a Côte-Rôtie in style, the decadent quality of the wine, with nuances of violet, vanilla bean and rich black fruit speaks to the quality of Larner Vineyard. 2011 Alban Estate Reva Edna Valley ($112) One of the gurus of California's late-'80s Rhône Ranger movement, John Alban fashions stunning wines from his Edna Valley vineyards; this sublime, mocha-smoky red is one of his best yet. 2014 Lewis Cellars Napa Valley ($75) Ex-Indy 500 driver Randy Lewis walked away from a 220-mile-per-hour crash in 1991 to a new career making wines like this one, an ink-black, espresso-scented, ultrasexy Syrah. 2012 Sine Qua Non Stock Central Coast ($299) Each year since 1994, co-owner and winemaker Manfred Krankl has released microquantities of mesmerizing wines like this one, its black, savory fruit laced with smoke and exotic spices. The Central Coast wine sensibility is a little irreverent—witness Hospice du Rhône in Paso Robles (April 15 and 16), whose name is a riff on Burgundy's hallowed Hospices de Beaune auction. Weekend of tastings with California's top Syrah producers will kick off with the bizarre but fun Rhône-n-Bowl event. DETAILS $995 for the Weekend Pass, $222 for Tasty Twosome; hospicedurhone.org. Zinfandel may have originated in Croatia, but no other grape has made itself so at home in California. Zinfandel was the most popular grape in the 1870s, and even today some of those early vines can still produce high-quality fruit. Most California producers favor Zinfandels that are full-bodied, spicy and high in alcohol, usually over 14 percent and occasionally even over 16 percent. The best of these wines, however, are beautifully balanced, without excess sweetness or heat from alcohol. "Old vines aren't a requirement for a great Zinfandel, but they can go a long way to creating one." 2014 Seghesio Family Vineyards Sonoma ($22) The Seghesio family has been making great Zin for over 100 years. The 2003 wine won an F&W American Wine Award, and this one is even more refined. 2013 Chateau Montelena Napa Valley ($36) The Barrett family's lovely château is near the base of Napa Valley's Mount St. Helena, which is also home to the vineyard that produces the grapes for this elegant Zin. 2013 Rosenblum Cellars RC10 Rutherford ($42) Rosenblum turns out an enormous array of small-production Zinfandels from around the state; there were few better than this vibrant and playful bottle. 2013 Ravenswood Teldeschi Dry Creek Valley ($36) Winemaker Joel Peterson first persuaded the Teldeschi family to sell him grapes from their 90-year-old Sonoma County vineyard back in the '70s. This wine stands out for the purity of its juicy, ripe fruit. 2014 Ridge Lytton Springs Dry Creek Valley ($40) This 2014 bottling, from the iconic Lytton Springs Vineyard in Sonoma County, comes from individually fermented parcels combined to best express the vineyard's character; it is firm and dense on the palate, with wonderfully layered flavors of berry and allspice. 2014 The Terraces Napa Valley ($38) Timm Crull's steeply terraced Rutherford vineyard is a perfect match of grapes and site, producing this very concentrated, exotically perfumed Zinfandel. 2013 Green & Red Tip Top Vineyard ($30) Pam and Jay Heminway's wines are hard to find—in part because of their small production and in part because their loyal fans tend to snap them up. This superpolished Zinfandel from a vineyard high above Napa Valley is one of their best. 2013 Scherrer Old and Mature Vines Alexander Valley ($34) Three generations of the Scherrer family have tended this Alexander Valley vineyard, first planted in 1912. It took great-grandson and winemaker Fred to create this stellar Zin, a soft, beautifully weighted wine. 2005 Fanucchi Old Vine ($50) Peter Fanucchi is a true believer, showering personal care on his 100+ year-old vineyard in Sonoma's Russian River region. This impressive bottling is shot through with luscious raspberry and blackberry fruit. 2014 Carlisle Dry Creek Valley ($36) This is a prime candidate for Zin of the vintage; it's a luscious, massive wine (15.1 percent alcohol) possessed of astonishing grace. 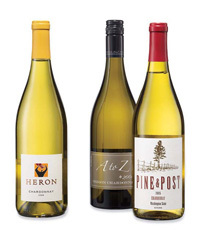 Chardonnay is, in many ways, almost too easy to produce—and sometimes it seems like the world is overflowing with mediocre examples—but creating a great Chardonnay, full of vibrant fruit, is not so simple. The most important prerequisite: a cool growing climate. Today, the best Chardonnays come from a variety of cool and mountainous areas around the state, including Carneros, Santa Barbara and Mendocino. The most exciting areas to watch right now, however, are probably the Sonoma Coast and the Russian River Valley region of Sonoma, where cutting-edge small producers are turning out a substantial number of the state's most riveting Chardonnays. "Sonoma is home to most of the best Chardonnay producers in California, period. And the most collectible Sonoma Chardonnays come from the Russian River Valley region and the Sonoma Coast." 2013 Mount Eden Estate Bottled Santa Cruz Mountains ($62) High up in the Santa Cruz Mountains overlooking Silicon Valley, Jeffrey Patterson produces some of California's most authentically "Burgundian" Chardonnays. This wine is lively and intensely flavored yet wondrously delicate. 2014 Chalk Hill Sonoma Coast ($20) The Furth family's winery, founded in 1972, enjoys one of the best views in Sonoma County. It also produces a rich, plush-textured Chardonnay with notes of spicy pear. 2013 Ramey Russian River Valley ($38) Sonoma's David Ramey was one of the first winemakers in California to use native yeasts and to bottle his wines unfiltered, which has resulted in full-flavored wines like this luscious but not overrich example with crisp fruit notes. 2013 Hanzell Vineyards Sonoma Valley ($69) A true California Chardonnay original, founded in 1953 in the Mayacamas Mountain region (overlooking the city of Sonoma), Hanzell may never have made better wines than it does today. This expansive, silky wine has a wonderful citrusy acidity. 2013 Kongsgaard Napa Valley ($122) John Kongsgaard, an F&W Winemaker of the Year in 2004, harvests his Chardonnay from a small, rocky vineyard and basically leaves the wine alone in its barrel, a winemaking practice he likes to call "death and resurrection," which results in this opulent wine layered with notes of hazelnut, apricot and honey. 2015 Kendall-Jackson Vintner's Reserve ($12) Possibly the most famous and probably the most popular California Chardonnay, this rich wine is sourced from Kendall-Jackson's own vineyards around the state, including Santa Barbara and Mendocino. 2014 Simi Sonoma County ($14) The fruit from this wine comes from the Carneros and Russian River valleys. The result is a lush but beautifully balanced Chardonnay that's an altogether excellent value from a reliable name. 2014 Waterstone Carneros ($20) The Waterstone Winery, launched in 2000, sources grapes from the cool Carneros region of Napa Valley. The 2014 vintage is less about oak than it is about the fruit, giving it a compelling crisp green apple character. 2014 Morgan Metallico Monterey ($21) This vibrant wine was created as a means of showcasing top-quality Monterey fruit. 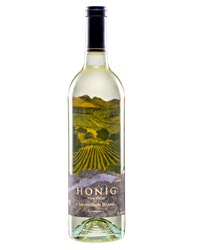 It has great acidity and pure bright apple and pear flavors that are unobstructed by oak. 2014 La Crema Russian River Valley ($25) La Crema has been a source of excellent-value Sonoma Chardonnays and Pinot Noirs for some time. This 2014 wine is one of their best, a substantially oaked and well-concentrated wine. 2014 Navarro Première Reserve Anderson Valley ($27) Long a secret among travelers to Mendocino, tiny Navarro still sells most of its wines directly to its fans. This is a terrifically elegant cool-climate wine with blossomy pear and tropical fruit flavors, tempered by a judicious use of oak. 2014 MacRostie Sonoma Coast ($25) Though Steve MacRostie founded his winery in 1987, his wines rarely get the publicity they deserve, making them rare bargains. This wine is all about rich, viscous fruit with a wonderful clarity of expression—a straight-ahead wine beautifully executed. 2011 Lucia Santa Lucia Highlands ($40) Central Coast Pinot maven Gary Pisoni, together with sons Mark and Jeff, produces this Chardonnay from their Pisoni and Soberanes Vineyards. Full of sappy, juicy peach and yellow apple flavors, it has a refreshing palate-clearing acidity. 2014 Peay Sonoma Coast ($46) Perched on a hilltop just above the fog line in the wilds of northwestern Sonoma County, this winery released its first vintage in 2003 and continues to be a cult favorite among those who follow the work of winemaker Vanessa Wong (formerly the winemaker at Peter Michael Winery). This bottling is a ripe, full-bodied style with a custardy texture. 2014 Aubert Lauren Vineyard Sonoma Coast ($172) In a few short years, Mark Aubert, winemaker at Cabernet icon Colgin Cellars, has turned his Sonoma Coast winery into one of California's hottest properties, thanks to wines like this seamlessly made Chardonnay with its perfect combination of pear and yellow apple fruit. Acme Fine Wines doesn't have a snazzy storefront. It doesn't even have a storefront; it's hidden away in a Napa Valley office building. But ask for proprietors David Stevens or Karen Williams and you can gain access to the kinds of soon-to-be-cult Chardonnays you can't find anywhere else, such as the 2003 Maldonado Los Olivos Vineyard Chardonnay. DETAILS 1104 Adams St., Suite 104, St. Helena; 707-963-0440 or acmefinewines.com. Sauvignon Blanc has one of the wine world's strongest personalities. Bold and pungent, it can exude notes of everything from grassy herbaceousness to flint and honeysuckle. However unsubtle they may be, California Sauvignons have several virtues: They cost less than Chardonnays of similar quality, and with their vibrant acidity, they're more versatile with food. 2015 Voss Vineyards Napa Valley ($20) Voss sources their fruit exculsivly from a single, organic vineyard in Yountville, organically farmed since 1986. These Sauvignon Blanc specialists prefer to pick their fruit early, achieving a lower alcohol wine with vibrant aromas. 2015 Hanna Estate Russian River Valley ($17) Cardiac surgeon Elias Hanna started this estate in 1985 with 12 acres, which have since grown to 600 (230 planted to vines). Brisk and straightforward, this Sauvignon Blanc is a bit rich, with flavors of lemongrass and citrus. 2014 Flora Springs Soliloquy Oakville ($23) The Sauvignon Musqué clone used in this Napa wine can produce a white that evokes Bordeaux. Winemaker Paul Steinauer captures the creamy, melony side of the varietal while retaining its telltale tanginess. 2015 St. Supéry Napa Valley ($18) This textbook Sauvignon never sees oak, keeping its lime and grapefruit flavors as pure as fresh fruit. 2015 Duckhorn Vineyards Napa Valley ($27) Duckhorn has made its name with Merlot, but its Sauvignon Blanc has a cult following too. Winemaker Renée Ary blended in 21 percent Semillon with its Sauvignon Blanc, giving the wine a rich lemon-melon character. 2013 Selene Hyde Vineyard Carneros ($25) The highly regarded winemaker Mia Klein sources the grapes for this white from the famous Hyde Vineyard and leaves the wine on its lees until bottling, producing a complex, vibrant Sauvignon Blanc with notes of peach and grapefruit. 2015 Spottswoode North Coast ($38) This winery is devoted to two wines: Cabernet and Sauvignon Blanc. Winemaker, Aron Weinkauf, creates an impressive fresh, complex wine with the ability to age. 2014 Araujo Estate Eisele Vineyard Napa Valley ($96) This Napa cult Cab producer makes a benchmark Sauvignon Blanc from its famed Eisele estate. It's an opulently textured, mango- and apricot-scented wine with a mineral finish. 2014 Peter Michael Winery L'Après-Midi Knights Valley ($59) This is a very concentrated but balanced wine from the Knights Valley region (the Sonoma side of Mount St. Helena). It's a barrel-fermented wine that wears its relatively high alcohol wonderfully well.